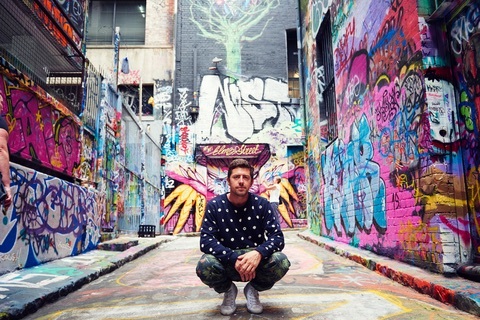 Why does Andrew love Melbourne? For it's entrepreneurial flair, of course! What are some of the reasons you love Melbourne? Along with Berlin and Tokyo, I do think that Melbourne is one of the coolest cities in the world. The place is alive with interesting people: experts and creatives who come with entrepreneurial flair and passion about their craft who also happen to be wildly social and keen to enjoy a drink. We have a landscape of quirky laneways, adorned with brilliant coffee shops and marvelous eateries. We are heavily interested in the arts: theater, projections, poetry and sculpture. Our town is riddled with little nooks, and in those nooks is often a business of some kind. The center of the city has over 500 bars and restaurants, so finding something new and amazing is just a matter of getting really lost and finding a door. 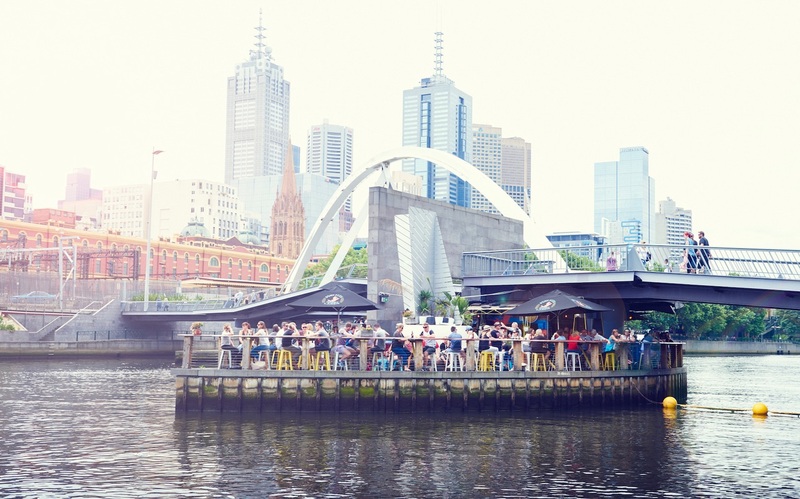 Our little city is based around the Yarra River, which divides the North siders from the South siders—two separate communities that love to claim their side is the greatest. People rarely cross the river, but surprises happen when they do. Due to our colourful multicultural population, Melbournians are spoiled by the best food from all around the world. The standards are ferocious. 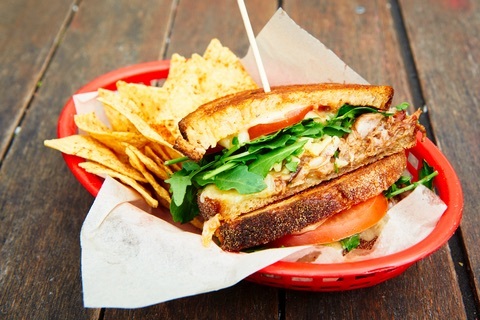 There are dive bars and cheap eats and then there’s the fancy hot spots. Nothing sits in between. The game is competitive, which drives the players to make it better. As the creator of a floating bar, you must know fun. Where should out-of-towners go for a good time? If it was my night out, I’d start at the National Gallery of Victoria on St Kilda Road. The exhibitions are always impressive. Then I’d walk along Southbank and across the bridge and down onto the sacred land of Ponyfish Island. A beer on the bow of the ship at sunset is the best view in town. From there, I’d wander up Degraves Street, grab a coffee at Dukes Coffee Roasters and cruise up Flinders Lane. Down the side alleys are countless galleries of multicoloured art—ACDC Lane are my favorites. ACMI (Australian Centre for the Moving Image) always shows what the future of exhibitions will be like. The museum is pushing the boundaries of what a museum exhibition can be through their interactive displays and use of multimedia. I really love our Chinatown, that runs off Swanston Street. I always feel like I’m transported to another country, and it brings out the best of all of the Asian cultures. Dumplings at Supper Inn Chinese Restaurant is always a silly experience, but very good. 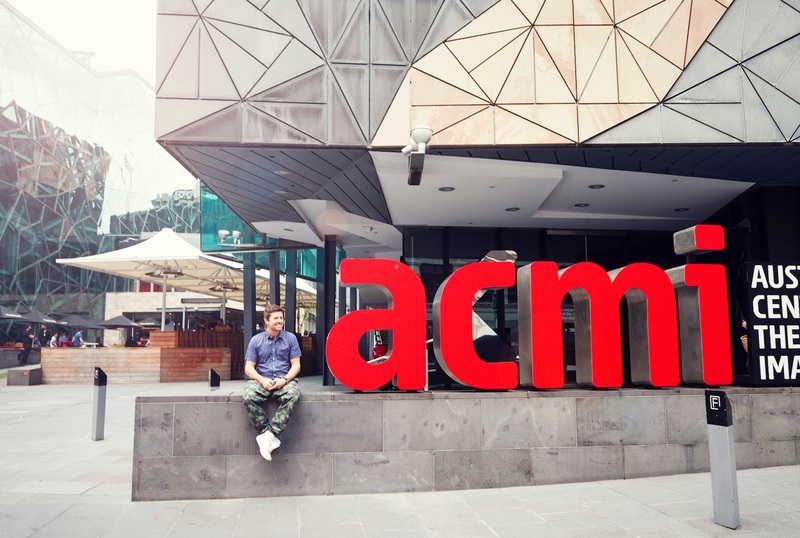 Visit ACMI for all of your digital culture desires. How do you impress CC with a fun night out on the town? An extravagant night on the town with CC would be to take her to a stage show, which she absolutely loves, followed by dinner. Recently we’ve seen “Mama Mia” at the Sydney Opera House and Les Miserables in Her Majesty's Theatre. Following our musical theatre entertainment with a meal at Coda, my favorite restaurant in Melbourne. To finish the night, cocktails at The Melbourne Supper Club and, onto the roof for sandwiches at Silo, overlooking the majestic Government House. Tell us about the prettiest beach in town. I have to be honest, our city beaches are good, but not the typical Australian postcard. We live a fifteen minute’s walk from St Kilda Beach, which has action, people, clean water and good sand. But there aren’t any waves as we’re sitting on a giant bay. An hour in the car will take you to our super beaches. Heading down the west coast to Torquay is one of the best surfing hubs of the world. Torquay is the home of Bells Beach, Rip Curl and Quiksilver—an impressive surfing culture. But my favorite beach is an hour further down the Great Ocean Rd at Cumberland River. The beach is protected by two points and has a huge river that runs into the water. If you follow the river upstream you’ll enjoy a beautiful walk and a powerful waterfall, perfect for swimming in naked (if you’re an exhibitionist). 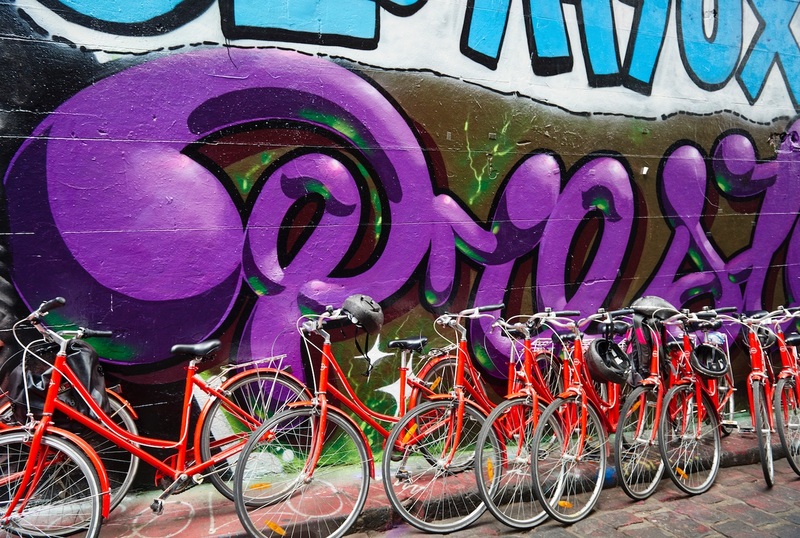 Which personality types gravitate towards which neighborhoods of Melbourne? Melbourne people love a book, drinking coffee, cooking and a drink. The people are creative doers. Humility is admired and entrepreneurs are celebrated and rewarded. Generally a pretty nice bunch of people. The grass is defnitely greener on Ponyfish Island. 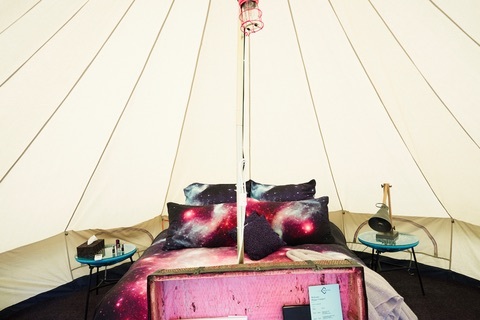 Take a catnap in a Bell tent at St. Jerome's The Hotel. Which hotel would be the perfect place for a staycation? 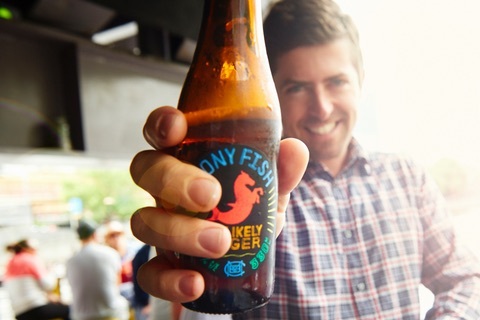 The most radical escape in the centre of Melbourne’s city is created by my Ponyfish Island business partner, Jerome Borazio. He once had a bar called St Jerome. 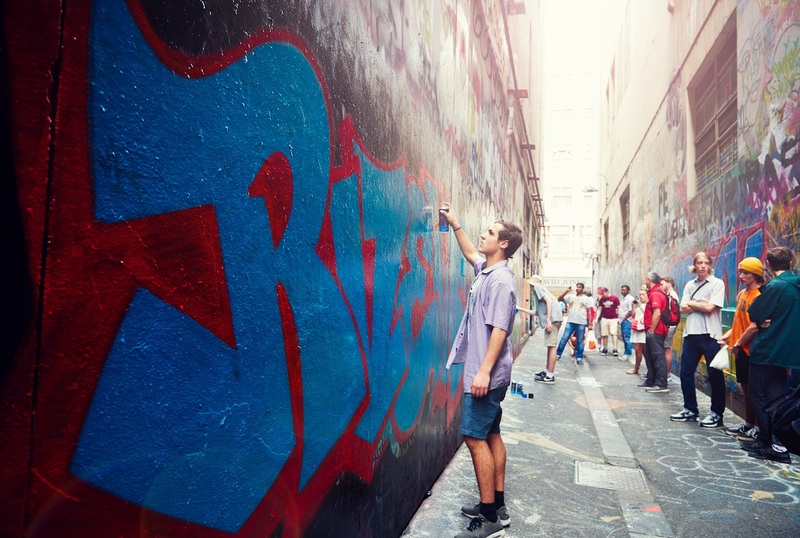 It was an institution and established Melbourne’s laneway culture. It cost him 5,000 Australian dollars to set up and he never had a spare milk crate to sit on. The legacy has now been translated into a hotel experience—St. Jerome's Hotel. It’s perched on a rooftop lined with Bell tents—magnificent! 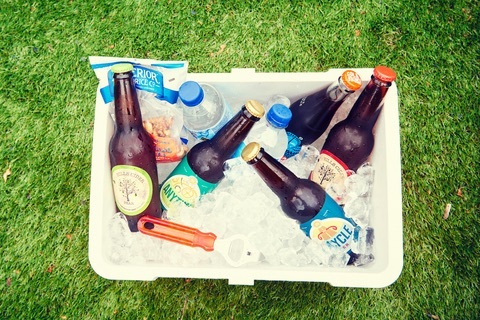 Each tent is fitted with a trunk of goodies, iPad’s, drinks, snacks and a handy heater for the colder nights. It’s one in a million and not to be missed. 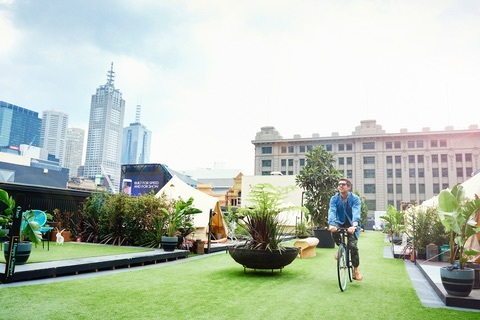 Check it out, camping safari, right in the middle of Melbourne. Torquay is a township in Victoria, Australia, which faces Bass Strait, 21 km south of Geelong and is the gateway to the Great Ocean Road. Landmark, skyline-dominating arts centre for opera, theatre, music and dance, plus guided tours. St Kilda Beach is a beach located in St Kilda, Port Phillip, Victoria, Australia, 6 kilometres south from the Melbourne city centre. It is Melbourne's most famous beach. The Yarra River or historically, the Yarra Yarra River, is a perennial river in east-central Victoria, Australia. Bells Beach is a coastal locality of Victoria, Australia in Surf Coast Shire and a renowned surf beach, located 100 km south-west of Melbourne, on the Great Ocean Road near the towns of Torquay and Jan Juc. Australian-born chain retailer of wetsuits & other boardwear, plus surfing products & accessories. Surf-style chain shop supplying clothes for men, teens & boys for surfing & snow sports. The Great Ocean Road is an Australian National Heritage listed 243 kilometres stretch of road along the south-eastern coast of Australia between the Victorian cities of Torquay and Allansford. Retro-chic riverside venue with exotic flora and fauna decor, for fresh subs and microbrewed ales. Wood-panelled Korean restaurant with a lively atmosphere and charcoal barbecues on every table. Public gallery with vast, varied collection of noted Australian and international art and artefacts. Specialty outpost crafting homegrown coffee in a stylish interior with light, wood-panelled walls. Late-night, bustling Chinese restaurant with live seafood and large share plates in a modest space. Nonprofit cultural centre in scenic, historical surrounds featuring galleries, studios & cafes. Classic 19th-century theatre with red and gold decor, hosting popular musicals, plus a cafe and bar. The Melbourne Cricket Ground, also known simply as "The G", is an Australian sports stadium located in Yarra Park, Melbourne, Victoria, and is home to the Melbourne Cricket Club. Trendy, industrial-chic basement space serving upscale Vietnamese fusion plates and set menus. The street was formerly called Corporation Lane, but was renamed on 1 October 2004 as a tribute to Australian rock band AC/DC. 36-hectare botanic garden founded in 1846, planted with Australian species and non-native gardens. Noteworthy institution celebrating film, television and gaming with exhibits, screenings and events. Upmarket late-night wine bar with stylish couches, chesterfields and a large circular bay window. Southbank is an inner urban neighbourhood of Melbourne, Victoria, Australia, 1 km south of Melbourne's central business district. Its local government area are the Cities of Melbourne and Port Phillip.